Continuum Advisory Group has released the 2017 Construction Users Roundtable (CURT) Owner Trends Study, the newest installment of their Owner Trends series. The study – a collaboration between both organizations – focuses on excellence in total project performance in the capital construction industry. 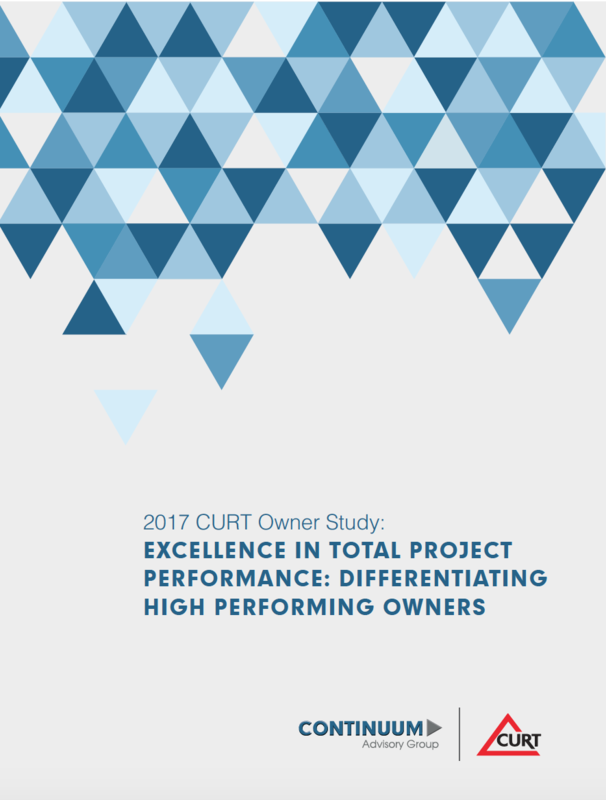 Through this research, Continuum Advisory Group and CURT sought to understand the challenges facing owners related to optimizing capital program delivery and to delve into how owner A/E/C partners can understand these issues and collaborate on solutions. Continuum Advisory Group regularly conducts industry studies in partnership with industry leaders such as CURT to more clearly understand the challenges their clients face in optimizing capital program delivery. This allows the firm to continue to meet the needs of their clients and achieve their vision of transforming the industry through revolutionary innovation. The 2017 study includes a mixture of research, interviews, and qualitative and quantitative data to understand the key factors that differentiate high performing owners. These key characteristics, described as the “connective tissue” for project excellence, are examined in detail and applied to specific construction industry issues. Data was gleaned from dozens of owners, A/E/C partners, and industry professionals, and further refined during two roundtable discussions at the CURT 2017 National Conference in Chandler, AZ. 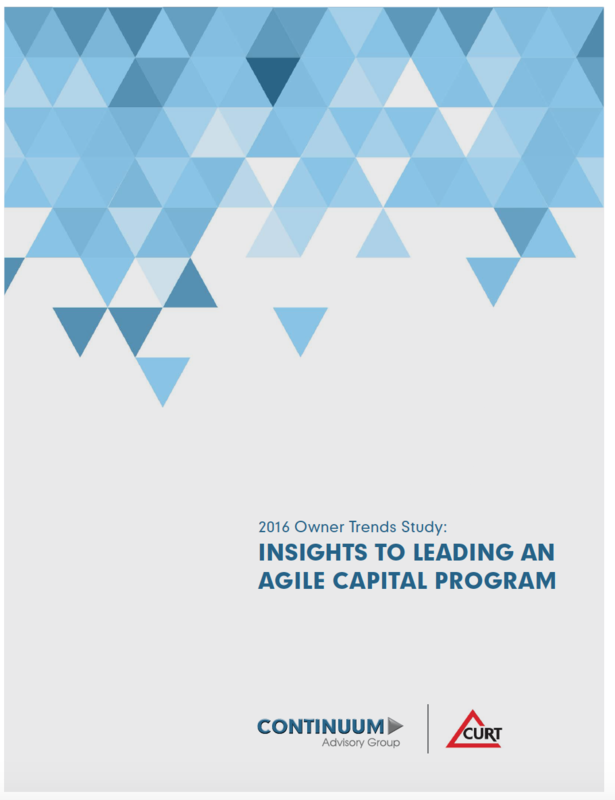 The 28 capital asset owner participants included General Motors, Proctor & Gamble, the US General Services Administration (GSA) and other public and private international companies in multiple industries. Continuum Advisory Group is a management consulting firm for the homebuilding and construction industries. We work with homebuilders, utilities, owner/developers, contractors, engineering firms, EPC firms and building product manufacturers. For more information, visit continuumag.com. The research team is happy to debrief the study with any company or group who is interested in learning more about the findings and how to apply the strategies to their own organization. Please contact us at excellence@continuumag.com to set up a 60 minute debrief or click the Contact Us button. Tags: 2017 CURT Owner Trends Study.